On September 16, Lunder-Dineen’s Maine Nursing Preceptor Education Program officially launches. 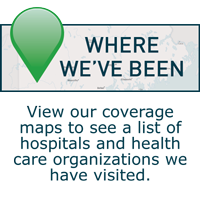 The overarching goal of the program is to advance and support the recruitment, integration, satisfaction and retention of nurses across the continuum of care in Maine. The program is ideal for experienced RNs across health care settings interested in becoming a preceptor, who work directly with patients and families in a clinical nursing role. It provides them with the knowledge, skills, and abilities to guide and support newly graduated nurses, nurses transitioning to new practice settings, and nursing students completing senior year clinical placements. It also advances preceptors’ knowledge about Maine Nursing Core Competencies, enhances the professional development and lifelong learning of staff, and supports the development of emerging nurse leaders. The program is designed using a blended learning format with easy-to-use online modules and a one day workshop. Enrollment opens in mid-August. 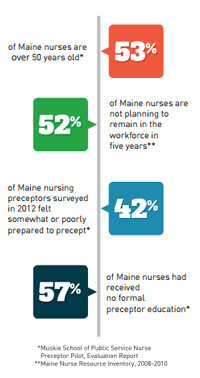 To learn more, visit lunderdineen.org/maine-nursing-preceptor-education-program or click here for an overview of the program. We want to extend our gratitude and congratulations to Lunder-Dineen Advisory Committee member George Campbell, who was recently named one of the "50 Mainers Boldly Leading Our State" by Maine Magazine. We are honored and fortunate to have Mr. Campbell's vast experience and perspective on our team. He is currently vice president of transportation engineering at The Louis Berger Group, Inc. and is treasurer at Martin's Point Health Care. He previously served as commissioner of transportation of both ‪‎Maine ‬‬(1980-1984) and New Hampshire (2008-2001) and is a former mayor of the Portland City Council. 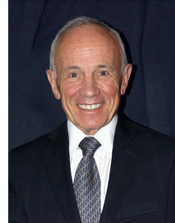 Mr. Campbell also has a deep history and commitment to the nonprofit sector. This session provides a brief historical overview of how life and care for individuals with Down syndrome have evolved in the past decades, and shares information about the newest research efforts, an overview of Massachusetts General Hospital’s Down Syndrome Program, and guidelines and best practices for the care of individuals with Down Syndrome. This webinar presents information about the behavioral and mental health challenges facing very young children, young adults, and families. Emphasis focuses on why recognizing and addressing early childhood mental health issues is a community concern. The importance of recognizing and treating postpartum depression, supporting and treating parents with mental illness, and supporting parents of children with challenging behaviors is discussed. A comprehensive review of evidence-based parenting programs designed to address challenging behaviors considered to be part of normal development is also included. 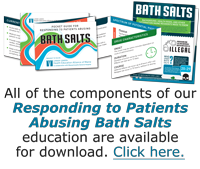 This program is intended for family physicians, pediatricians, psychiatrist, nurses, and contains content relevant to a broad audience of learners, including teachers and social workers.